Locked your keys in your car? Don’t worry…call us and we’ll send one of our locksmith vans to your location and get you back in your car in no time. If you have an auto lock or key emergency in Winchester, VA, or the Berryville area, don’t panic. Just call Willhite’s Mobile Lock Service. We offer emergency auto locksmith service at competitive rates. If your key broke in your door lock or ignition or if you’ve lost your keys, we can provide you with replacement keys and services designed to get you back on the road as soon as possible. We feature experienced mobile locksmiths who have the expertise needed to deliver our comprehensive array of auto, residential, and commercial locksmith services. Being on the road and suffering a lockout or a broken key is an emergency situation. That’s why Willhite’s Mobile Lock Service features mobile locksmiths who specialize in the services drivers need. We know that it’s not practical for you to leave your car behind or call an emergency tow truck. We can get you the service you need where you need it so you can be back on the road quickly. Our mobile locksmiths are trained and have experience working with all types of keys. 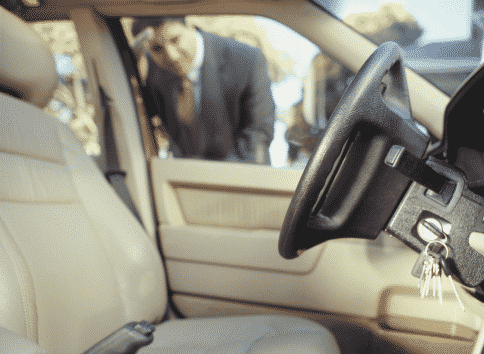 Whether you’ve locked your keys in the trunk of your vehicle or you’ve lost your keys and can’t find them, we can provide you with fast and efficient mobile locksmith and key replacement services. It’s never a good idea to hire someone without the experience needed to do the job. Willhite’s Mobile Lock Service features professional locksmiths who are experts at what they do. They’ll take your security to heart and provide you with the high-quality locksmith service you need for peace of mind. We screen our employees to make sure they meet our values and requirements. They have experience working in the Berryville area and are equipped to deliver our auto, residential, and commercial locksmith services. When you contract with Willhite’s Mobile Lock Service, you can count on our guaranteed services. We stand behind our work and products. Our goal is to provide outstanding customer service. To that end, we always aim to charge fair prices for our wide array of locksmith and key replacement solutions. As one of the leading locksmith companies in Winchester, VA, and the surrounding region, we understand that maintaining the trust of our customers is what continues to set us apart from the competition. If you suffer a lock or key emergency when you’re on the road or at home, contact Willhite’s Mobile Lock Service. We also offer a full lineup of residential and commercial locksmith solutions. Motorcycles, cars, trucks of any make or model—just contact us and we’ll get to work getting you out of a jam—and all for an affordable price. We look forward to being the locksmith service you plug into your speed dial. We’ll be there for you when you need us.